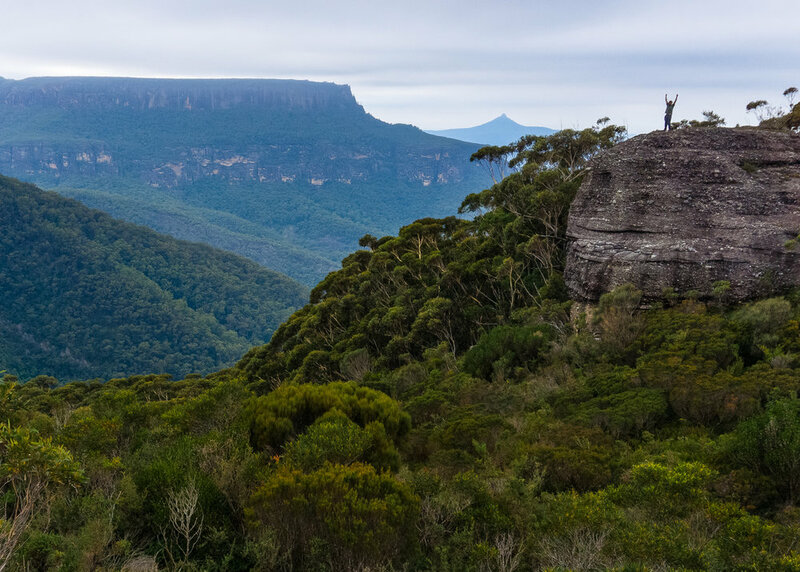 Nestled between the spectacular Budawang mountain range and the Pacific Ocean on the South Coast of New South Wales, Big Nature offers bespoke outdoor adventures specialising in hiking, rock climbing, abseiling and scenic tours, giving you an unforgettable experience whatever adventure you choose. Our incredible location allows us to run year-round courses and expeditions, from hiking in the remote Budawangs to climbing and abseiling on one of the many incredible local cliffs. At Big Nature our fully qualified guides are experienced and passionate with a great love for the outdoors, with a low client to guide ratio we tailor make the day to suit you. Over the last twenty years Chris has explored the world, working and pursuing his passion for outdoor adventure, specifically climbing, hiking, kayaking and surfing. These activities have taken him to some of the more remote corners of the globe, providing natural rewards that are truly unforgettable, and are the reasons why he loves to share these incredible experiences with others. Chris has worked in the outdoor industry for 15 years and holds qualifications from the Australian Climbers Instructors Association and British Mountaineering Council as well as holding current wilderness and advanced first aid certificates.